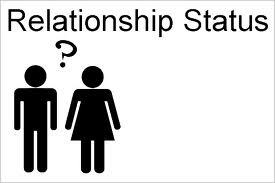 When you are dating someone, do you feel the need to have a definitive conversation regarding the status of your relationship? I've heard some say that a conversation never needs to happen, that if you are both mature adults who are clearly only dating each other and being physically affectionate with each other, then there is no question - you are together. If you have been introduced to family and friends, with affection displayed, then that is a particularly clear sign - you are together. I've heard some say that you do need to have a definitive conversation where you "claim them as your own." They say this conversation provides peace of mind and security, clearing up any uncertainty, eliminating the awkwardness when another man/woman (or four) approach you for your phone number, pseudo-dates, or actual dates. There is also the question that all well-intentioned people ask, "So is he/she your boyfriend/girlfriend?" What do you think? Is this a conversation you should or should not have? Why? The times I've felt the need to have a relationship defining conversation are the times when the person I was dating just wasn't as interested in me as I wanted. That's my experience, and not one that I'd attempt to make a blanket rule at all. With now-DH I did have to jump start the conversation, "So. When are we going to talk marriage?" It wasn't because he wasn't thinking it, but because he knew if the topic was broached too soon I'd freak out. I think that if you are both "mature" then you should be able to talk about your relationship, rather than leaving it up to having to interpret signs that might mean one thing to someone and one thing to someone else. To me, nothing says "mature" like being able to talk about things even if there's a chance it might be awkward. I prefer the first camp -- I think everyone should assume that initially, the other person may be dating other people without having to be told, but there comes a point in every relationship where you're safe to assume you're exclusive even if it's never been discussed. But I think everything beyond exclusive dating should be talked about. You never know when someone might want entirely different things than you. While I think kissing and make-outs are essentially an official declaration (or should be), it doesn't hurt to casually just ask if it's okay to call her your girlfriend. Then I know how to introduce her to people. But don't make it a big deal, since it's hopefully already been conveyed through previous actions. I dated one guy who was a total player, so when I thought it was clear by actions that we were together, he actually had no intention of being exclusive. Consequently, when I started dating my husband I dodged his first few attempts to kiss me and then finally told him I only kiss guys I'm dating exclusively. He then spent the rest of the date trying to convince me that he in fact wanted to date me exclusively. It all worked out in the end, but past damaging relationships can cause a need for a DTR! I honestly think it depends on the relationship, but it never hurts to have a super quick chat about the relationship status. Everyone defines 'being in a relationship' differently, as some of the previous comments have stated. For me, kissing means that we are dating exclusively, but maybe it doesn't to someone else. When we first started dating, my boyfirend very quickly and succinctly just said 'so what are we calling this now?' I said I would only kiss my boyfriend and we both carried on from there. I would've have been super self-conscious without that clarification, but the conversation could have been awkward if handled differently. It's a weird subject for most people. I agree with Katie. It COMPLETELY depends on the relationship, but it doesn't hurt to make sure both parties are seeing eye to eye. It's a delicate subject for sure, but it never hurts to make sure. It removes a lot of the possibility for hurt and resentful feelings later. I have talked with so many people on this topic and it truly seems the world is divided 50/50. I have to agree with Janell though, in my own personal experiences, if a man didn't bring it up, it was because he just wasn't that into me.